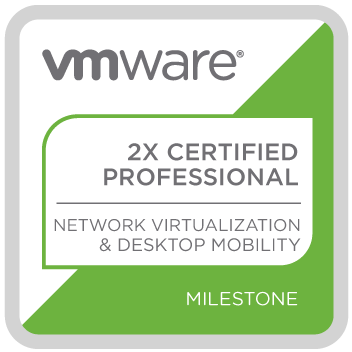 The Double VCP for NV and DTM validates that a badge earner can install, configure, and manage a VMware Horizon (with View) environment, as well as differentiate any supporting products and components. This badge also proves the earner can install, configure, troubleshoot, and manage a VMware NSX environment, as well as differentiate supporting products and components. Badge earners have a strong understanding of the relationship between physical and virtual network infrastructures.